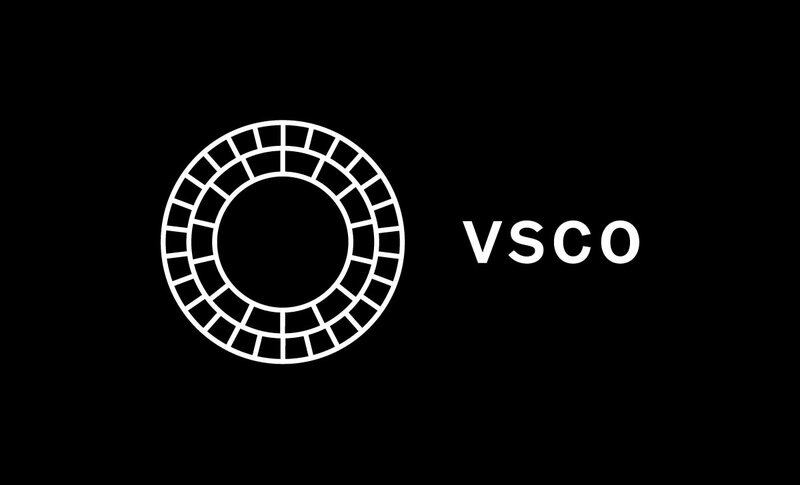 VSCO (pronounced vis-co) is a photo editing and sharing app that has become one of the biggest social media sites among teens. Like many girls my age, I have a secret guilty pleasure: VSCO. First created in 2011 by founders Greg Lutze and Joel Flory as a way for users to organize and edit their photography, the app has become one of the biggest social media platforms to date. Boasting millions of aesthetically pleasing posts of island vacations, puppies, coffee, and stylish clothing, it’s not hard to mindlessly scroll through the app for hours at a time, and I often find myself doing just that. After looking through hundreds of pictures of beautiful, skinny girls wearing cute summer outfits, lounging by pools and beaches and holding tropical drinks, it’s hard for me not to feel a twinge of jealousy as I’m shivering in a winter coat in the middle of a polar vortex. Why couldn’t I be living the lives of the girls in these pictures? How could someone be so perfect? Scrolling through strangers’, my friends’ and even my own profile, I quickly realized that the facade that so many girls claim to be living is just that: a facade. I myself am guilty of pushing this fake agenda; my VSCO is filled with smiling pictures of me with my best friends, flowers, and other positivity-inducing images. It wasn’t until I took a hard look at some of the pictures that I realized how much of a lie they were portraying to the people viewing my profile. For example, just minutes before the picture of me standing with my teammates after running in the state meet was taken, I was in tears over the fact that my father, my inspiration and the reason why I started running, couldn’t be there to watch me run. 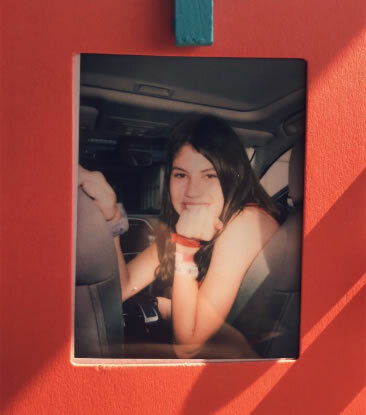 The Polaroid of me smiling in the front seat of my aunt’s car was taken after suffering a mortifying anxiety attack on vacation in front of my entire extended family. The picture of my legs standing on my friend’s lake house pier was taken during a time in my life where my body dysmorphia had become so bad that there were days where I didn’t want to leave the house. This smiling photograph I posted on my VSCO does not convey the embarrassment I was feeling after having an anxiety attack in front of my extended family. These pictures all portrayed me to be happy, healthy, and self-confident during a time in my life where that couldn’t be further from the truth. I was struggling with my body image, mental health, and overall happiness, which made me miserable, but I refused to let that show on my social media platforms. I was convinced that by making others think that I was okay and keeping how I truly felt to myself, I could avoid all of the problems that were facing me, which ended up being an inhibitor to my road to recovery. VSCO is a manifestation of everyone’s ideal life, essentially serving as a highlight reel of all of the good times while intentionally leaving out the bad. It doesn’t tell the whole story, leading many people to believe the people they are seeing online are living a “perfect life” when in reality, they are going through the same struggles and battles as the rest of us. Being vulnerable in a culture obsessed with perfection is a terrifying idea, and many people resort to hiding their insecurities about themselves and their lives on social media. This innocent act of self preservation promotes mental health stigmatism and give people false realities they feel they need to live up to. Despite the effect it has had on my self image and mental health, I still have a deep appreciation for the app. It is a beautiful platform to share your fondest memories with the world, but once you start to approach it from the wrong direction, it can become a detrimental source of low self confidence and self image. When using the app you must keep in mind that the reality being portrayed by the images are unrealistic. No one, not even the “perfect VSCO girls” that rack up thousands of republishes are living a perfect life. Each and every person has their own struggles, which means you are not alone in whatever you may be facing. Once you grasp the fact that perfection is a made up standard that no one is able to achieve, you can start to appreciate the beauty of the app and stop comparing yourself and your life to the heavily filtered lives of others.